A positive and inspiring congratulations note to motivate your friends and beloved people. Every day is a new opportunity, but all we need is a positive thought to begin with. 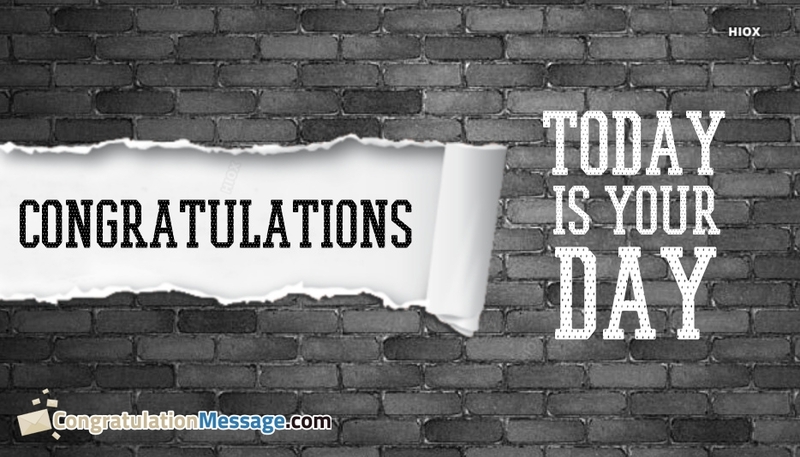 You can use this image quote "Congratulations! Today Is Your Day" to encourage people and lead them to the path of success.